Please let us know the color name or number in the comment section of your purchase. Available colors shown in the second picture. 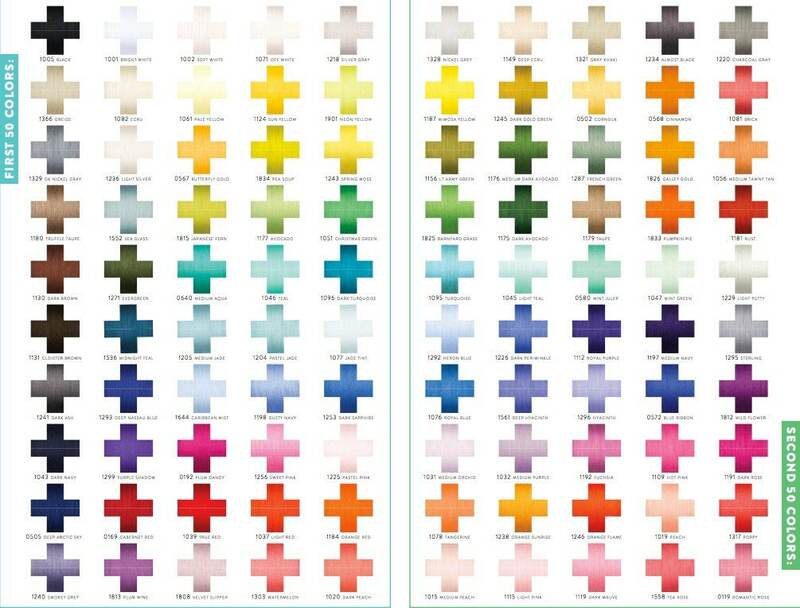 If you are ordering fabric and would like us to match the thread for you, we can do that too! Just let us know! If you buy 3 spools, you get $2.50 off the original price, and we will pack them in a cute box like the ones in the picture. We love this thread for garments, quilting, and even embroidery- give it a try and let us know what you think! This Egyptian Grown, Extra-Long Staple Cotton is twisted, dyed, and finished in Italy with the final winding in Germany. 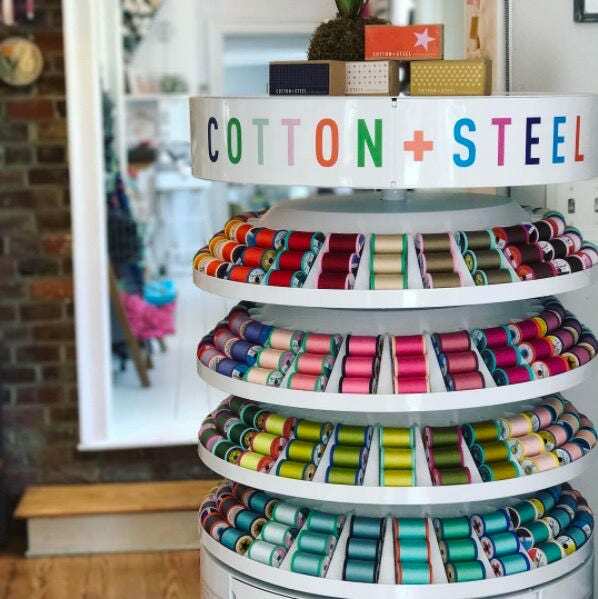 All 100 colors of this mighty fine, all-purpose thread were carefully chosen to include essential sewing colors plus a mix of fun, vibrant colors to perfectly match any project – especially when using Cotton+Steel Fabrics!